BUTLINCAT's BLOG: AI begins to take over: "Gmail turns to AI for smarter email notifications on your phone"
AI begins to take over: "Gmail turns to AI for smarter email notifications on your phone"
Mobile email notifications are a great way of reminding you to unsubscribe from dozens of annoying promotional lists. It’s typically less useful for knowing when emails that are actually important have come in. Google’s G Suite team announced a plan this week to change that. 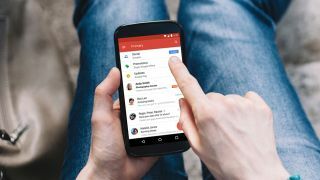 As part of the recent Gmail redesign, Google unveiled a new feature, currently for iOS only, that ensures your Gmail app only sends you push notifications when “high-priority” emails come in. Unlike Outlook, Gmail doesn’t have a high-priority option to label emails. Instead of adding one, Google will use its AI and machine learning tech to categorize your emails and determine which ones you want to read first. To enable this option, open your Gmail iPhone app and tap Settings. In the Notifications drop-down menu, you can select “High Priority only” to make only relevant emails appear—at least, relevant based on Google’s criteria. If you open your Settings and can’t see the above option, just be patient: Google began rolling out the feature on Thursday and claimed it would only take one to three days to reach everyone. As for Android users, the G Suite team promised it would make the feature available “soon”, but gave no specific timeline. Gmail doesn’t scrape your emails for targeted ads anymore, but it has used AI to redirect your emails into categories like Social and Promotions for some time. The notifications move is a natural next step for the company. This feature is only one of many since Google announced its plans to overhaul Gmail at Google IO 2018 last month. Its flashiest update: smart compose, another machine learning-enabled feature that examines your previous sent emails to predict what you intend to write. You then have the option to auto-finish your sentences. You also can snooze emails now, another way to keep your overcrowded inbox manageable. Select an email you don't have time to respond to now, and Gmail will remove it from your inbox and redeliver it at a time that works for you. Other new tricks include a Confidential mode that lets you set time limits on how long people can see your emails; smart replies for short, pre-written replies; and attachment clips that let you preview or download attached files without having to open the email. Screen-to-body ratio measures how thin a phone's bezels are, and how much of the front is taken up by the display – and it looks like we have a new champion: Oppo just announced its Find X smartphone will offer a ratio of 93.8% when it launches tomorrow. We should have three new iPhones to gawp at in September, according to the latest leaks from news sources in Asia. Apparently, the 6.1-inch LCD model, the cheapest of the bunch, is expected to be the big seller, while the other two stick with OLED displays.